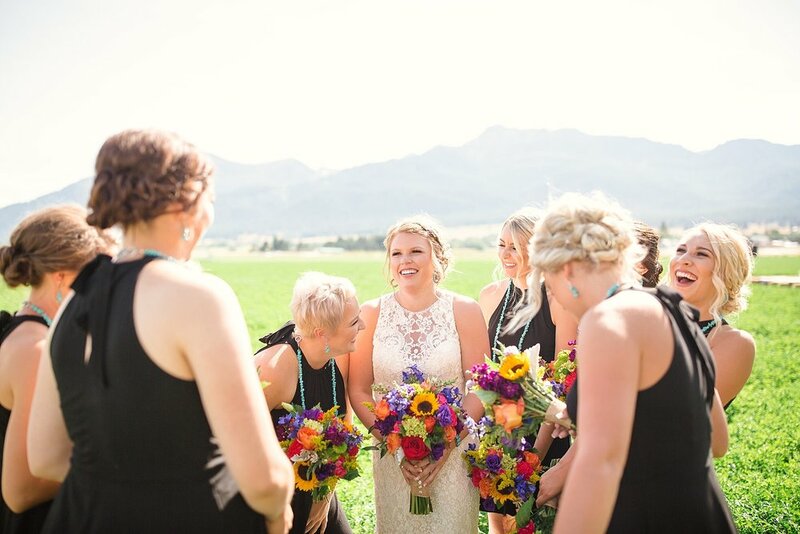 At the bride’s parent’s century old farm home, resting peacefully below the breath-taking Wallowa Mountain, Klint & Kylie said their ‘I do’s’ surrounded by hundreds of their most beloved family and friends. 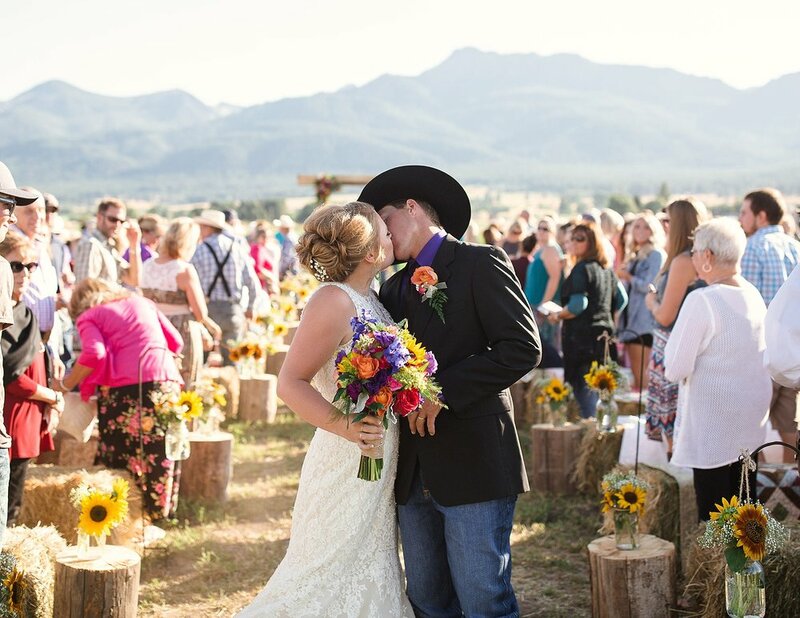 Every moment of the day was picture perfect and every detail was thoughtfully prepared to make this celebration as amazing for Klint & Kylie as it was for each of their guests. Without a doubt, this will be a party that will be remembered fondly for generations to come. 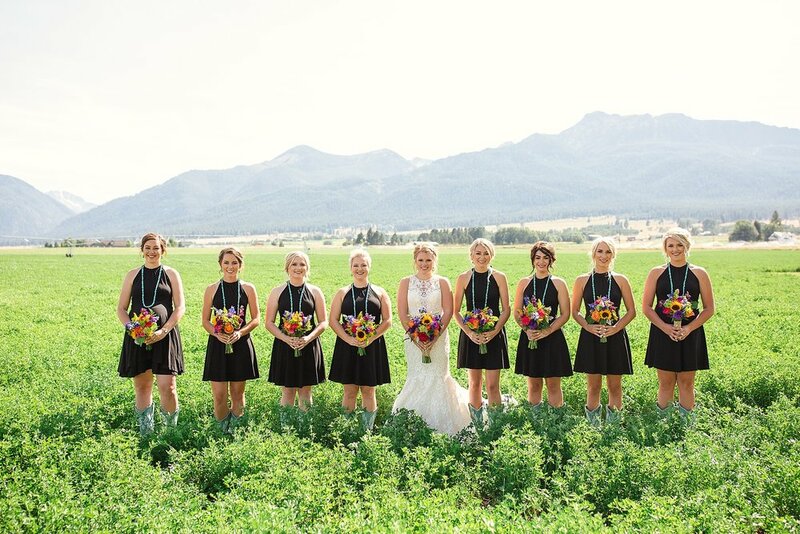 The sweet and stunning bride captured everyone’s attention in her fabulous Allure Couture gown and her custom Justin Boots. 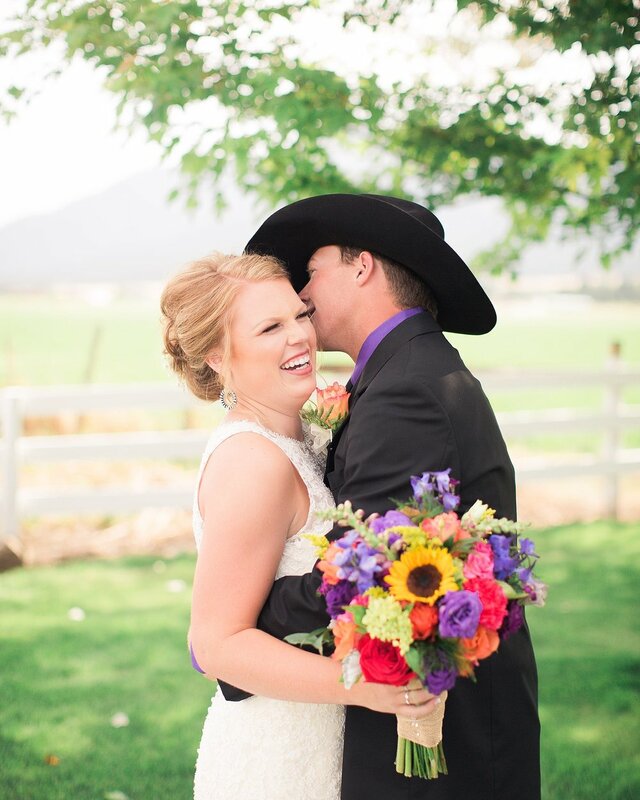 You can’t expect the 2016 Pendleton Round-Up Queen to walk down the aisle to her forever love in heels, can you? No, I would think not!